If you are looking to make money from blogging then you must take into serious consideration being an amazon affiliate. Amazon’s Associates Program lets you generate revenue from promoting their offers. Whenever someone you referred buys a product with amazon you’ll receive a percent of the sale as advertising fee. and start making revenue right away!!! Good thing about Amazon Associates Program is that if buyer buys a product you didn’t promote you still receive the advertising fee. 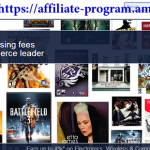 Below I m going to post a short and easy to follow guide followed by screenshots that will help you setup your first Amazon Affiliate Account in a few minutes. Visit Amazon Associates Program and select Join Now for Free. and when finished click “Create Account“. Make sure that all filed are filled and select “Next: Your Website Profile“. 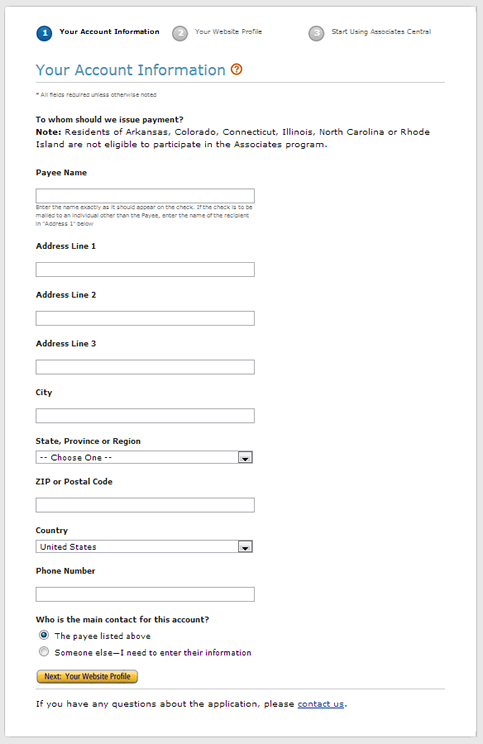 Keep in mind that residents of Arkansas, Colorado, Connecticut, Illinois, North Carolina or Rhodes Island can’t participate in Amazon Associates Program. 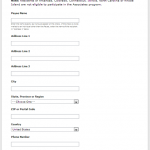 Write a short description regarding your website content, eg. News and Reviews of Gadget Related Products. Select topics related to your website content, eg. Computers/Software and Movies. Choose Amazon items that you intend to promote through your Amazon Affiliated Website, eg. Computers & Office and Electronics. Select your Website Type, eg. 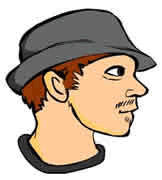 Blog and Content or Niche Website. Select ways of driving traffic to your website, eg. SEO. Be careful because Amazon doesn’t like Paid Search Traffic. 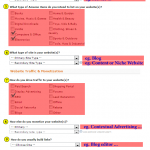 Select additional methods of monetizing your Website/Blog, eg. Contextual Advertising. Select Blog Editor or Content Management System for How You Build your Links. Choose your Website Traffic in Unique Visitors per month, if you are just starting then Less than 500 would be enough or else choose From 501 to 5,000. 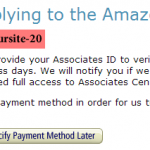 Select option To monetize my site as the main reason for joining this Amazon Associates Program. 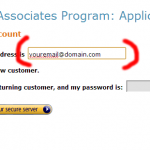 Finally, select where you did first hear about Amazon Associates Program, eg, from a Blog Post. New Page that opens is the “Confirmation Page“. Make sure to write down somewhere your Unique Associates ID(it should end with “-20”) and then select “Specify Payment“. 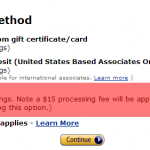 In this page you are going to select your preferred “Payment Method” for collecting Amazon Advertising Fees. Notice that Direct Deposit Payment Method applies only to Associates based in the United States while check Payment Method has a reserve of $100 that you should reach before being able t withdraw money to your Bank Account. 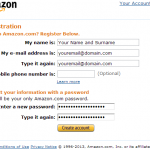 If you read this you probably have registered an Amazon Affiliate Account already! and you’ll be able to build your own Amazon store powered by WordPress in 30 minutes! can I register to amazon affiliate program if I don’t have any website yet? The thing is – I’ve read your tutorial how to build the amazon affiliate website using wpzonbuilder but I already need an amazon affiliate account to do that. 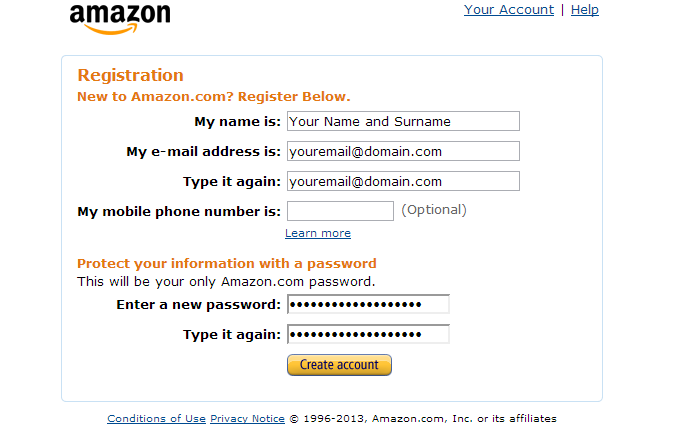 But to be able to register for an amazon account I need a website up and running. So I’m a bit confused what to start first. Can you suggest what I should do? In order for Amazon to let you in as an affiliate partner you must have a website up and running. For that reason you can register a domain and setup a WordPress website(take advantage of Makis.TV free blog setup) and post 4-5 articles related to products you want to sell or review. When you have enough content apply for an Amazon Affiliate Account and when registered you can continue with setting up your own Amazon Affiliate site using our guide.